Bringing professional dance to the North. Zoë is a dance artist, researcher and choreographer with an extensive background in university lecturing, performance and choreographic practice. Driven by imagery Zoë’s creative approach is interdisciplinary, working from an intuitive, often sensory instinct in a studio context. She aims to challenge audience reception and creative processes through varied & shared research & devising methods. 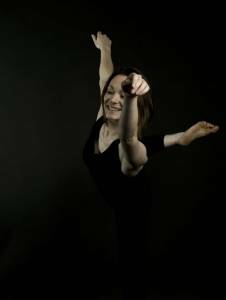 Having trained in both Performing Arts and Dance collaborative practice is paramount to Zoë’s work: Forging links through collaborative networks in regional, national and international contexts enrichens the shared experience of devising and creative practice. In addition to Dance Ahead Zoë works part-time as a Lecturer in Learning and Teaching in the Performing Arts (Dance) at the Royal Conservatoire of Scotland in Glasgow. Prior to this she worked at the University of Cumbria, Institute of the Arts Carlisle, UK for 10 years; firstly as a visiting practitioner and subsequently as a senior lecturer in dance & physical theatre and Programme Leader in BA(Hons) Performing Arts. Through Dance Ahead Zoë aims to continue building existing relationships and communities of practice through high quality projects and collaborative engagement. Recent credits include Movement Direction for Jeeves and Wooster in Perfect Nonsense (Theatre by the Lake), choreography for a new devised immersive work OFFSKI (Elektronika, Year of Young People Scotland), Movement Direction for University of Cumbria’s 2018 production of Stephen Sonheim’s Company and multiple original productions with her own collaborative company Dance Ahead including #HiddenSpaces15, The Glass House and Miscommunication Reigns and more. Look out for future info on Dance Ahead’s latest venture, Twelve Days of Carlisle 2018 – A Winter Festival across the city. Sophie began working with Dance Ahead in 2015 as an apprentice stage manager for #HiddenSpaces15, since then she has worked closely on all projects; helping to expand the community reach of their work and supporting Zoë in all production capacities. Since graduating in 2017, Sophie’s career in Production and Stage Management has gone from strength to strength. 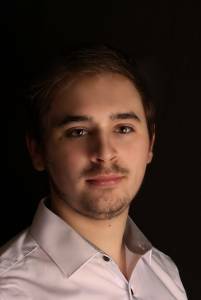 Most recent credits include Stage Manager at Theatre Royal Winsdor, ALRA North, London’s Associated Studios and University of Cumbria. Sophie is currently working as interim Theatre Manager at Stanwix Theatre and as Production Manager to Professor Graeme Danby. 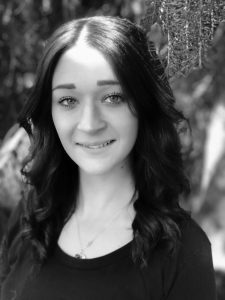 Whilst Sophie’s focus is in management she is an all rounder and often helps as a rehearsal/workshop assistant in a variety of contexts for Dance Ahead. Upon graduation Sophie established her own freelance business SK Management and continues to collaborate closely on a variety of community initiatives across Carlisle. Adam is freelance dancer based in the north of England. Prior to joining forces with Dance Ahead he choreographed and organised Living History – a cross-generational project in partnership with Tullie House Museum and Art Gallery supported by Arts Council England. The project involved a cast of community members aged from 7 to 79 years as well as international professional dancers. The project culminated with site-specific promenade performances in the museum’s various sites and galleries. Adam has created works that have toured to platforms such as Turn in Manchester and festivals including Agitart in Figueres, Spain. His teaching experience is varied working with children, students, adults and older people. Most recently Adam has been working as a dancer for Darren Pritchard for Body of Light a dance and technology work, which recently toured to Guernsey for TEDx St Peter Port. He has also worked for Ballet LORENT based in Newcastle and his latest venture, Lost in Translation took him to Chile for ongoing exchange projects between Newcastle, UK and Chile. Previous training includes Northern School of Contemporary Dance and Trinity Laban Conservatoire of Music and Dance. Anthony found passion in technical theatre from a young age. He progressed through amateur dramatics to voluntary work within theatres and continued his passion into higher education studying technical theatre. Anthony recently completed his degree and currently works full time within this field. Whilst working proficiently within all areas of this profession Anthony is always keen to develop new skills. Anthony worked in collaboration with Dance Ahead on #HiddenSpaces in 2015 as a placement opportunity and now joins the team as Technical Manager on their latest production The Glass House. Anthony has learnt key skills within technology and music which enhances knowledge to understand the workings of the industry and all the components within. Previous work with many professionals in the theatre and entertainment industries, allows him to possess in depth understanding of the interdisciplinary nature of components coming together to create a spectacle production to audiences in entertainment.